Eighty years ago, November 9-10, 1938, the Nazis staged vicious attacks or pogroms against Jews in Germany and Austria in riots that came to be known as Kristallnacht or "Night of Broken Glass." Known as the "Night the Holocaust Began," the date is a turning point in history and a warning for today. Hundreds of synagogues and businesses were destroyed, and 30,000 Jewish men and boys were arrested and sent to concentration camps. This is the 26th anniversary of the Kristallnacht Interfaith Confronting Bigotry Commemoration of the Capital Region, sponsored to unite the community against prejudice. 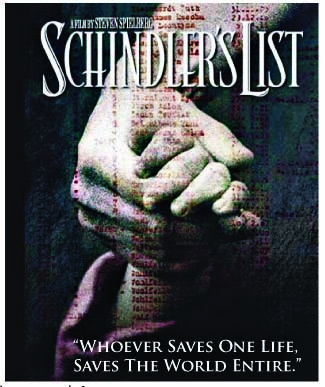 The film reveals the beneficence of human nature rearing its head against the incredible background of persecution, widespread anti-Semitism, and utter human hopelessness of the Holocaust. 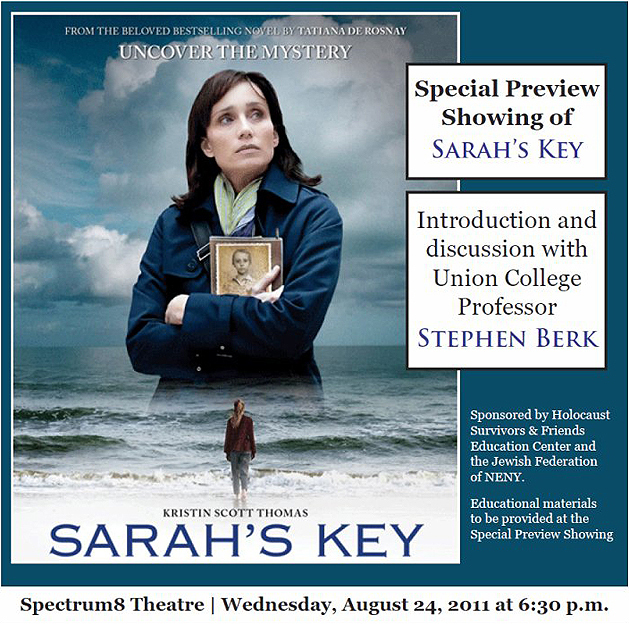 One-Time Screening |Free and open to the public. 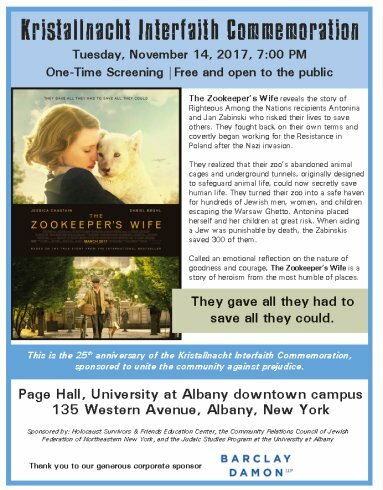 The Zookeeper's Wife reveals the story of Righteous Among the Nations recipients Antonina and Jan Zabinski who risked their lives to save others. They fought back on their own terms and covertly began working for the Resistance in Poland after the Nazi invasion. 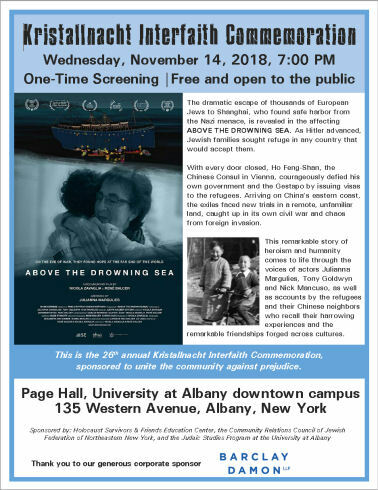 One-Time Screening |Free and open to the public. 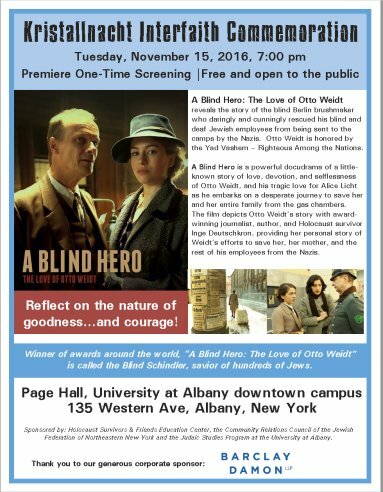 Kristallnacht Interfaith Commemoration on Tuesday November 15th at 7:00 pm with the premiere one time showing of the film "A Blind Hero, the Love of Otto Weidt" at Page Hall at the University of Albany downtown campus at 135 Western Ave in Albany. The program is free and open to the public. 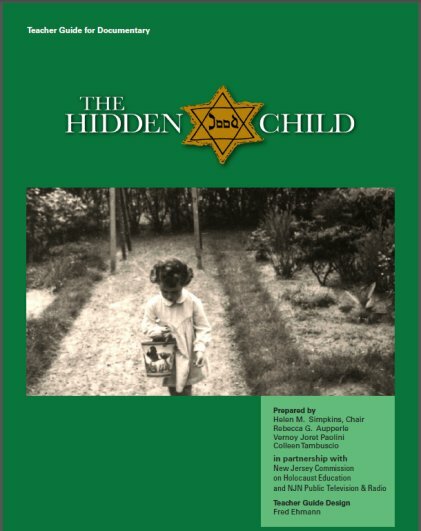 The Hidden Child is the story of Maud Dahme who, as a six year old Dutch girl, survived the Holocaust because of the decency and courage of complete strangers. Maud Dahme was one of the estimated 3,000 to 8,000 Jewish children in the Netherlands who were hidden and saved from Nazi death camps by Christians who felt a moral obligation to do the right thing, even at the risk of their own lives. At NJN, we have had a history of producing programming that tells compelling and important stories as well as a commitment to advancing mutual respect and understanding. When I heard about the opportunity to document Maud Dahme's story and return trip to the Netherlands, I knew it was a story that had to be shared with New Jersey's school children for generations to come. 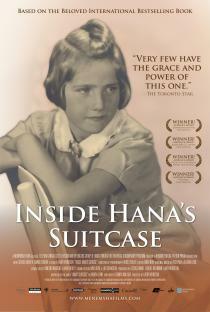 Premiere of the film " Inside Hana's Suitcase"
The delivery of a battered suitcase to Fumiko Ishioka at the Tokyo Holocaust Museum begins the true-life mystery that became the subject of Karen Levine?s best-selling book Hana?s Suitcase. The suitcase came from the Auschwitz Museum and had Hana Brady?s name painted on it. Larry Weinstein?s masterful film follows Fumiko?s search to discover the details of Hana?s life, which leads to the discovery of her brother George in Toronto. 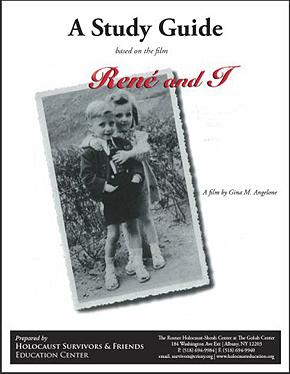 As small children they had been sent to Thereisenstadt for being Jewish after the Nazis invaded Czechoslovakia in 1939. A superb musical score by Alexina Louie and Alex Pauk, coupled with dramatic reenactments stunningly shot by Horst Zeidler, catches us by the heart to invoke the tragedy of the times. The voices of children from Japan, Canada, and the Czech Republic telling Hana?s story are woven around the drama, along with George?s memories and Fumiko?s quest, to create a film of astonishing power and hope. < Please click the image to view the Study Guide. "It is really our triumph. We overcame and we have raised families. We have become productive people in society and so - we won." "We are constant reminders of governments who did not act, of nations who closed their borders in the face of people fleeing death; we are constant reminders of doctors who participated and planned in the murder of Jews, Gypsies and the disabled; we are constant reminders of thousands who betrayed their neighbors for pennies; we are constant reminders of hundreds of train conductors who took their unsuspecting victims in sealed cattle cars to the death camps without giving it a thought. We are constant reminders of a highly civilized society that turned itself into an evil one and that the Holocaust is a paradigm of human indifference. Truth is on our side. We must never be silent in the face of hatred and bigotry and we must remember that the road to Auschwitz is paved in silence." Contact Shelly Shapiro at the address listed below for more information about anti-prejudice programs or to make donations to the Holocaust Survivors & Friends Education Center, The Rosner Holocaust Center at The Golub Center.